Welcome back! 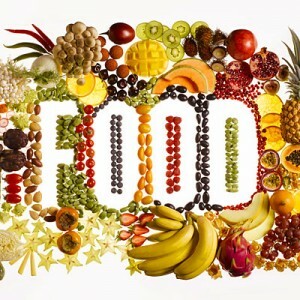 Superfoods Part 1 listed the first 4 out of 8 nutritionally and biologically amazing Superfoods. Let’s get the last 4 outta the way so you can hit the supermarket and gets to crackin’! ::sizzle sizzle:: Jalapeno Peppers contain the ingredient capsaicin, which we discussed the benefits of in our article, Fat Won’t Stand A Chance! When you eat jalapenos the capsaicin causes an increase in your heart rate, which in turn raises your metabolism. Capsaicin also temporarily stimulates a higher release of stress hormones in your body, resulting in an elevated metabolic rate and increased calorie burning. Oh spicy baby!! 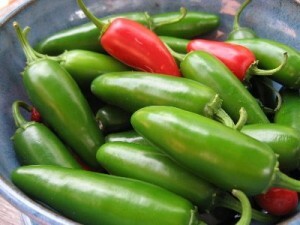 Not only do Jalapeno’s add delicious flavor to many foods, but they are also immensely good for your metabolic furnace. Awesoooome!! Another tidbit of useful information: research has shown that eating a spicy meal daily can increase your metabolic rate by as much as 25%. Whew! Grapefruit is by far the most common vitamin-C fruit to amplify the function of your metabolic system. Research has demonstrated that vitamin C has some fat-burning capabilities. 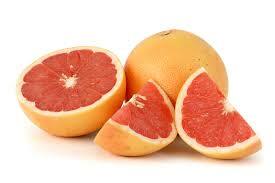 Grapefruits are known to reduce levels of insulin in your body. What this basically means, as simply as possible, is that Grapefruits help to regulate fat metabolism. Hemp seed protein is composed of roughly 65% globulin, which is a protein found abundantly in your body, and hemp seed also contains a high content of albumin. Both are important globular proteins that act as precursors to specific chemicals responsible for vital bodily processes. These proteins contribute to improved metabolism because when ingested, your body exerts more effort to digest, absorb and utilize them for enzymatic, hormonal and molecular blood cell functions. The calcium in hemp milk is another valuable metabolic trigger. Relax, milk haters! 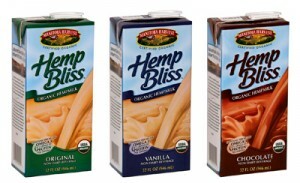 Hemp Milk is different than cow’s milk. Hemp milk contains higher levels of calcium, which has been clinically shown to have a positive effect on your metabolism. On top of being absolutely delicious in MANY varieties of foods, cinnamon is a powerhouse of nutritional wonders! This metabolism-boosting source is ideal because the spice can be added to so many different foods. Sprinkle some cinnamon on your oatmeal, mix a teaspoon in with your yogurt, shake a bit overtop your toast or use a dash in your cup of tea. Cinnamon is rich in antioxidant polyphenols, and the methylhydroxy chalcone polymer has been shown to exhibit markedly strong activity to support healthy blood sugar levels. The key ingredient in cinnamon helps to maintain blood sugar levels and keep them on an even keel, and allows your body to metabolize sugars more effectively, as well. Not to mention, certain studies have actually shown that by simply smelling cinnamon, you may increase your cognitive function. Wow! There it is! A list of 8 great superfoods that your metabolism will graciously thank you for. Don’t forget to check out Part 1 of the Superfoods, and also head over to the article 8 Metabolism-Boosting Super Foods from GeneticWar.com. Fat Won't Stand A Chance!